June Rudolph Day movie with a cup of hot chocolate (after I turned on the air conditioner - I know, those two things don't go together at all! ), my Christmas Planner, and on the clipboard, my Christmas Inventory which is in need of an update. Today's task was Recipe Round Up - time to go browsing through my Christmas cookbooks and Pinterest for ideas. Since I'm not sure what our Christmas schedule is going to be like due to the move in November, I'm going to table this one until we get settled in our new home and review it then. 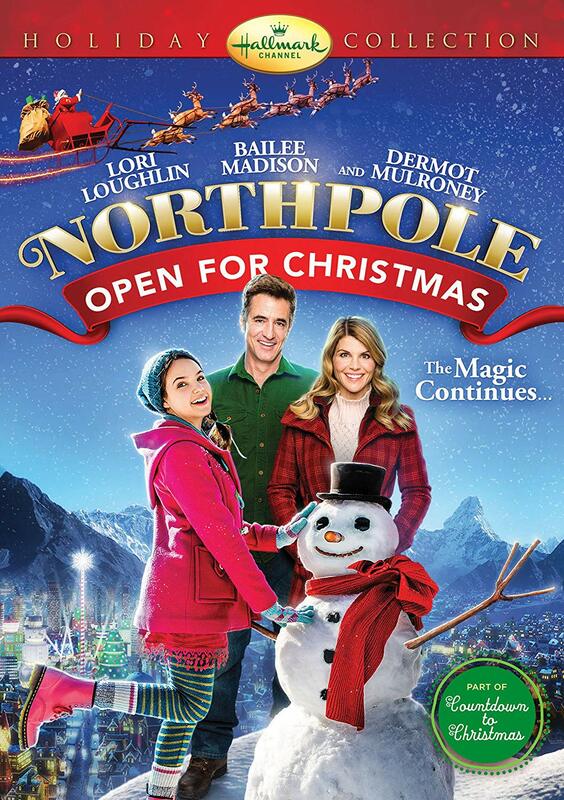 This month's movie was Northpole: Open for Christmas. Oh my goodness, what a delightful movie, so cute, and it contained the best Christmas line, "You can never have too many ornaments". I definitely recommend adding this one to your collection. My Christmas in July swap ornaments made it to their destination. Now our hostess, Lana, will repackage the ornaments everyone sent into boxes for each of us. 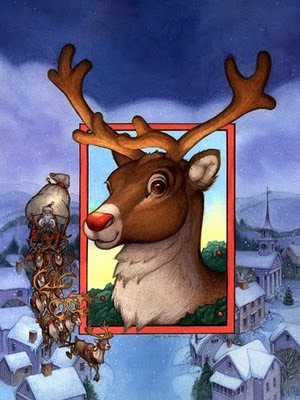 It has been suggested that we have a grand reveal on July Rudolph Day so the postal service willing, we will all have our boxes by then and can share our goodies. I received my Hallmark Keepsake Ornaments flyer in the mail with my reward and bonus dollars to spend at the Ornament Premiere as well as a preview of the Limited Quantity ornaments that will be available. I will be there when they open because there are a couple I do not want to miss. I spent the afternoon working on my Christmas inventory. I have an assortment of totes and everything is listed by tote so it makes it easy to find things and to put everything back when the holiday season is over. I had gifts tucked in here and there so I updated my gift closet list in my planner and placed all the gifts in one tote. How was your June Rudolph Day? Busy, busy, busy! But not with Christmas stuff, but with getting ready for my friends arrival and a doctor's appointment. All is well, thankfully! Rudolph Day was SO helpful to me a couple of years ago...WHY can't I get back in the groove with it? I am counting down to July 14th - can't wait to pick up my ornaments at Hallmark. I'm also excited because the Hallmark Christmas movies begin on July 13th. I already printed out the schedule. Although there are no new movies this July, there are some oldies but goodies that I really enjoy. I will record them and watch them as I stitch from now until the end of the October when the new Hallmark movies begin! Is Vic still moving to Okinawa? Are you going with him as you originally planned or staying here (but moving to WA state) as I thought you mentioned a while back? I can't wait to pick up my ornaments as well! Do you have a favorite Hallmark Christmas movie? Yes, Okinawa for Vic, Washington for me, late fall. No, not a favorite. I definitely like some of them more than others. I definitely have some favorites among the actors they use. You surely had a productive Rudolph Day! All that I did was to write and schedule an introductory post for Christmas in July on my Christmas blog. I am so far behind with that this year!